Last year I wrote about how Wi-Fi is getting new names. 802.11ax for example, the latest and greatest of the Wi-Fi standards is known as Wi-Fi 6. There were many announcements at MWC 2019 about WiFi 6, some of which I have captured here. I came across a nice simple explanatory video explaining Wi-Fi 6 for non-technical people. Its embedded below. The video is actually sponsored by Cisco and you can read more about Wi-Fi 6 and comparison of Wi-Fi 6 and 5G on their pages. Together, we’re working to provide a better bridge between mobile and Wi-Fi networks. At Mobile World Congress in Barcelona we’ll show the first step in that journey. Anyone using a Samsung Galaxy S9, S9+ or Note 9 device (and those lucky enough to have an early Galaxy S10) over the Cisco-powered guest wireless network will be able to seamlessly and securely connect – without any manual authentication. No portal, no typing in passwords, no picking SSIDs, no credit cards — just secure automatic connectivity. How? By using credentials already on your phone, like your operator SIM card. Even if your operator doesn’t currently support Passpoint autoconnectivity, your Samsung smartphone will! As a Samsung user, you already have an account for backups and device specific applications. 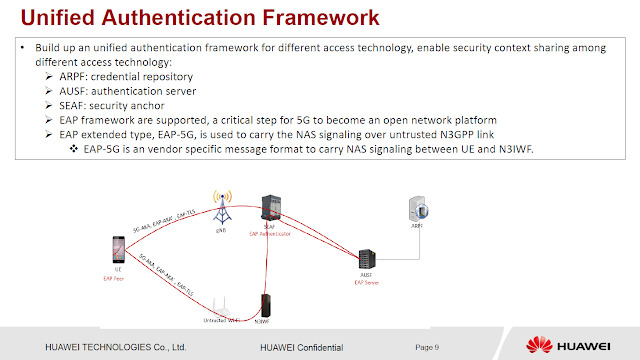 This credential can also be used for a secure and seamless onboarding experience, supporting connectivity to enterprise, public and SP access networks. The chip specialist is rounding out its Wi-Fi 6 portfolio to address lower price points. When Samsung announced its Galaxy S10-series of premium smartphones, wireless chipmaker Broadcom announced, in tandem, that its latest BCM4375 Wi-Fi/Bluetooth connectivity combination chip is powering those new flagship smartphones. That chip was the company's first to support the latest Wi-Fi 6 standard, which promises significant performance improvements over previous-generation Wi-Fi technology. The BCM4375 is a high-end part aimed at premium smartphones, meaning that it's designed for maximum performance, but its cost structure (as well as final selling price) is designed for pricier devices that can handle relatively pricey chips. Broadcom explains that the BCM43752 "significantly reduces smartphone bill of materials by integrating [radio frequency] components such as power amplifiers (PAs) and low-noise amplifiers (LNAs) into the device." The idea here is simple: Since these components are integrated in the chip that smartphone makers are buying from Broadcom, those smartphone makers won't need to buy those components separately. In the press release, Broadcom quoted Phil Solis, research director at the market research company IDC, as saying that this chip "reduced costs by going down to single core, 2X2 MIMO for Wi-Fi, integrating the PAs and LNAs, and offering flexible packaging options while keeping the same functionality as their flagship combo chip." Broadcom explains that this chip is targeted at "the broader smartphone market where high performance and total solution cost are equally important design decisions." So why is that important? Simply because 6 GHz Wi-Fi is likely the biggest opportunity in Wi-Fi in a generation – and because Intel’s demo shows that Wi-Fi chipset vendors are ready to pounce on it. 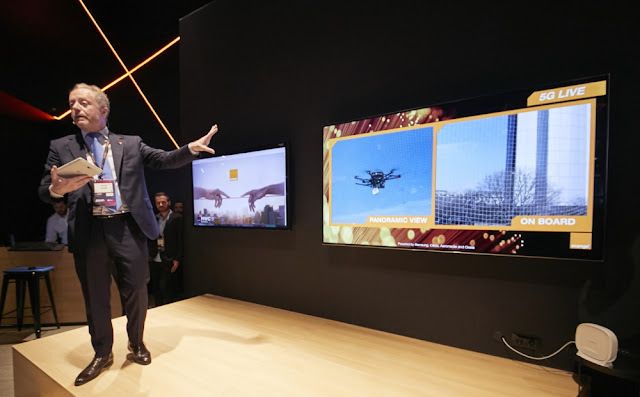 The demonstration was a part of Intel’s elaborate Wi-Fi 6 (802.11ax) demonstration set at MWC. 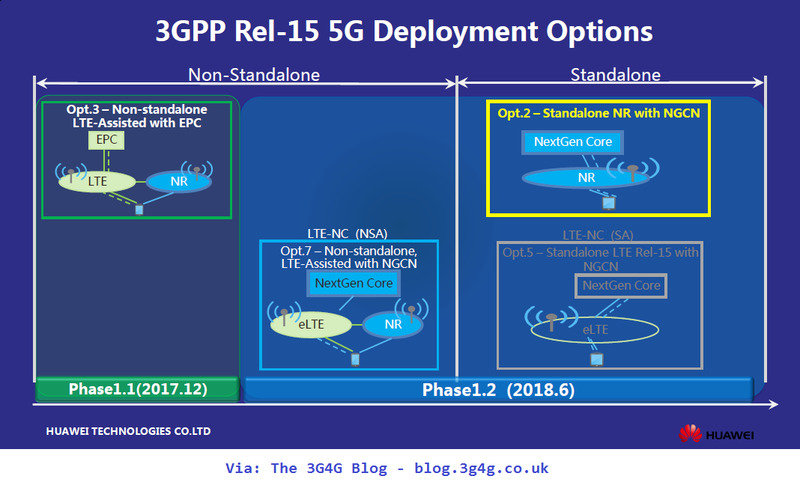 “When this enhancement [meaning 6 GHz spectrum] to Wi-Fi 6 rolls out in the next couple of years, it has the potential to more than double the Wi-Fi spectrum with up to 4x more 160 MHz channel deployment options,” said Doron Tal, Intel’s General Manager Wireless Infrastructure Group, in his blog here. Doron Tal emphasises that the prospect of including 6 GHz bands in Wi-Fi for the time being realistically only applies to the US market. Intel also says that a growing number of currently available PCs already support 160 MHz channels, making them capable of operating at gigabit Wi-Fi speeds. This means that consumers will get ‘a pleasant surprise’ in terms of speed if they invest in a Wi-Fi 6 home router already now, Intel says. It may however take a while before US regulator FCC finally rules on allowing Wi-Fi to operate in the 6 GHz bands. Right now the FCC is reviewing dozens of response submissions following the issuing of the NPRM for unlicensed 6 GHz operation – and they will likely have their hands full for months while answering a litany of questions as to prospective new 6 GHz spectrum rules. Also an important part of the 6 GHz story is the fact that the IEEE only weeks ago decided that – as far as the 802.11 standards are concerned – only Wi-Fi 6 (802.11ax) will be specified to operate in the 6 GHz band. That means 6 GHz will be pristine legacy-free territory for Wi-Fi 6 devices. The interesting thing to note here is that the Wi-Fi spectrum will become flexible to operate from 1 GHz to 7.125 GHz. Of course the rules will be different in different parts of the world. It will also have to avoid interference with other existing technologies like cellular, etc. According to Fierce Wireless, Huawei has completed a global deployment of its enterprise-class Wi-Fi 6 products under the new AirEngine brand. Speaking at the company’s Global Analyst Summit, Huawei said its Wi-Fi 6 products have been deployed on a large scale in five major regions worldwide. 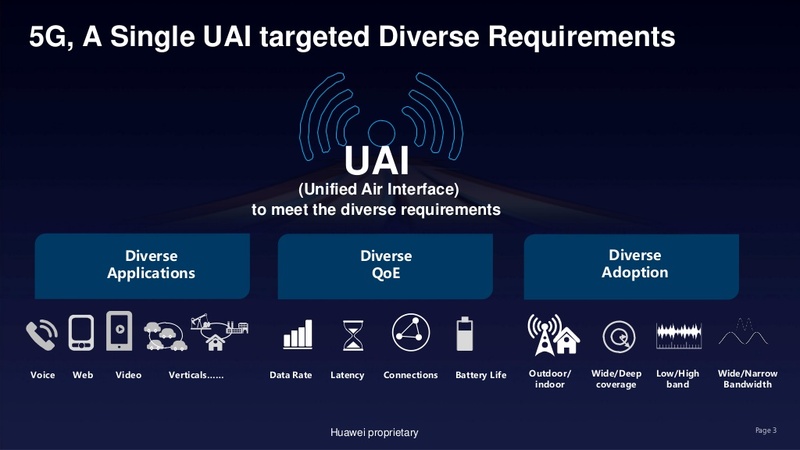 @Huawei touting it's broad portfolio of connected devices. Meet the Huawei's 5G CPE router for Smart Home which drives Wi-Fi 6 with 5G backhaul. 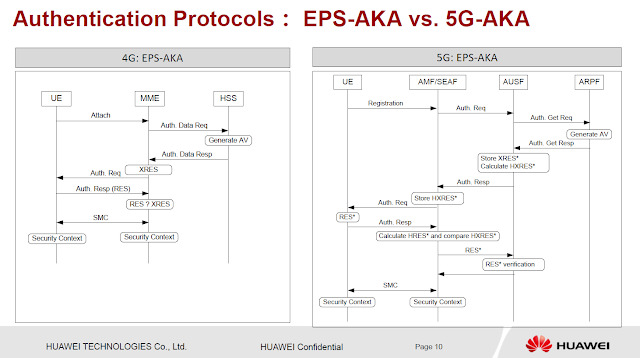 Huawei has many different enterprise networking products that are already supporting Wi-Fi 6 today. You can see the details along with whitepapers and application notes here. In addition, the Top 10 Wi-Fi 6 misconceptions are worth a read, available here. Network slicing is a specific form of virtualization that allows multiple logical networks to run on top of a shared physical network infrastructure. The key benefit of the network slicing concept is that it provides an end-to-end virtual network encompassing not just networking but compute and storage functions too. The objective is to allow a physical mobile network operator to partition its network resources to allow for very different users, so-called tenants, to multiplex over a single physical infrastructure. The most commonly cited example in 5G discussions is sharing of a given physical network to simultaneously run Internet of Things (IoT), Mobile Broadband (MBB), and very low-latency (e.g. vehicular communications) applications. These applications obviously have very different transmission characteristics. For example, IoT will typically have a very large number of devices, but each device may have very low throughput. MBB has nearly the opposite properties since it will have a much smaller number of devices, but each one will be transmitting or receiving very high bandwidth content. The intent of network slicing is to be able to partition the physical network at an end-to-end level to allow optimum grouping of traffic, isolation from other tenants, and configuring of resources at a macro level. The key differentiator of the network slicing approach is that it provides a holistic end-to-end virtual network for a given tenant. No existing QoS-based solution can offer anything like this. For example, DiffServ, which is the most widely deployed QoS solution, can discriminate VoIP traffic from other types of traffic such as HD video and web browsing. However, DiffServ cannot discriminate and differentially treat the same type of traffic (e.g. VoIP traffic) coming from different tenants. Also, DiffServ does not have the ability to perform traffic isolation at all. For example, IoT traffic from a health monitoring network (e.g. connecting hospitals and outpatients) typically have strict privacy and security requirements including where the data can be stored and who can access it. This cannot be accomplished by DiffServ as it does not have any features dealing with the compute and storage aspects of the network. All these identified shortfalls of DiffServ will be handled by the features being developed for network slicing. 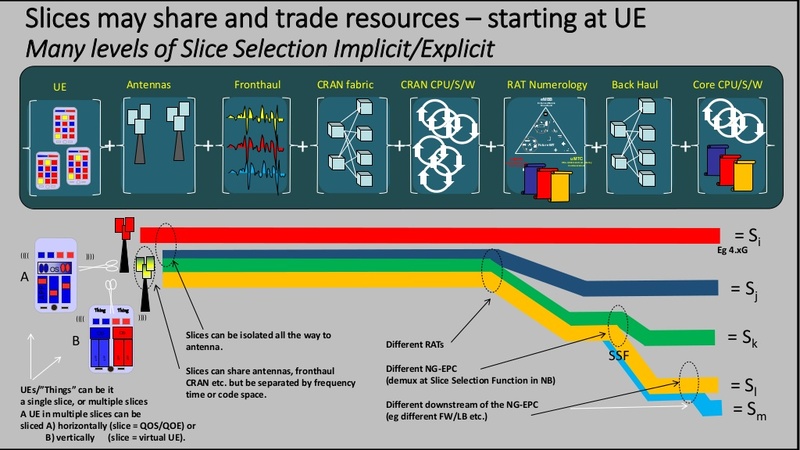 I came across this presentation by Peter Ashwood-Smith from Huawei Technologies who presented '5G End to-end network slicing Demo' at ITU-T Focus Group IMT-2020 Workshop and Demo Day on 7 December 2016. Its a great presentation, I wish a video of this was available as well. Anyway, the presentation is embedded below and the PPT can be downloaded from here. The European Telecommunications Standards Institute (ETSI) has established a new Industry Specification Group (ISG) on Zero touch network and Service Management (ZSM) that is working to produce a set of technical specifications on fully automated network and service management with, ideally, zero human intervention. 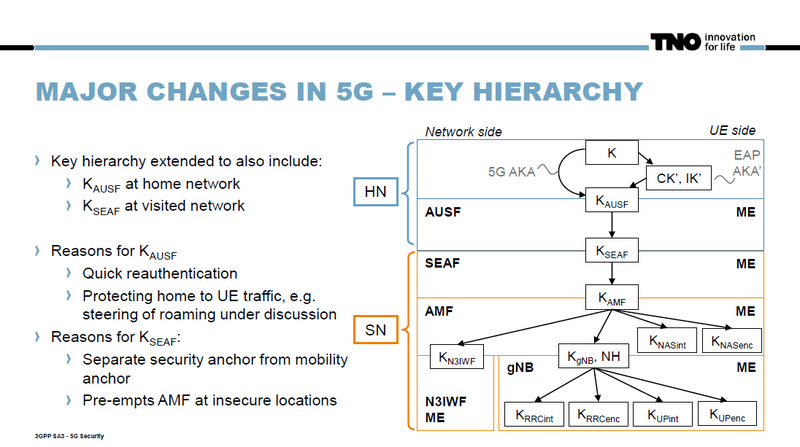 ZSM is targeted for 5G, particularly in network slice deployment. NTT Technical review article on this is available here. 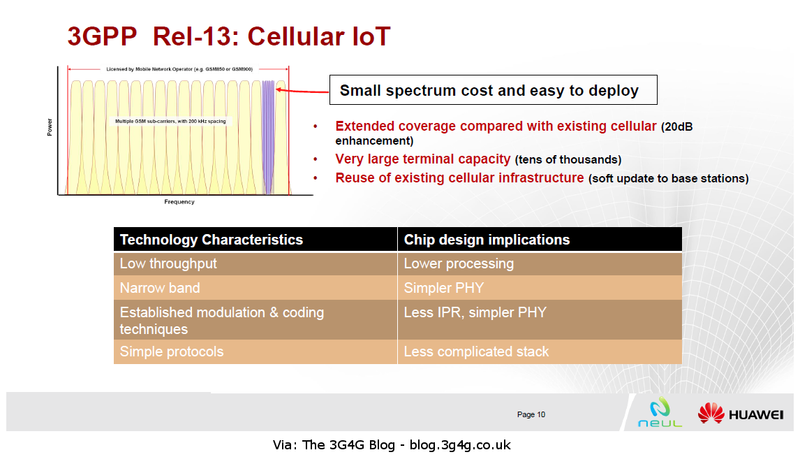 Finally, here is a presentation by Sridhar Bhaskaran of Cellular Insights blog on this topic. Unfortunately, not available for download. There seems to be a good amount of research going on in higher frequencies to see how a lot more spectrum with a lot more bandwidth can be used in future radio communications. NTT recently released information about "Ultra high-speed IC capable of wireless transmission of 100 gigabits per second in a 300 GHz band". Before we discuss anything, lets look at what Terahertz means from this article. Terahertz wave: Just as we use the phrase ‘kilo’ to mean 103 , so we use the term ‘giga’ to mean 109 and the term ‘tera’ to mean 1012 . “Hertz (Hz)” is a unit of a physical quantity called frequency. It indicates how many times alternating electric signals and electromagnetic waves change polarity (plus and minus) per second. That is, one terahertz (1 THz = 1,000 GHz) is the frequency of the electromagnetic wave changing the polarity by 1 × 1012 times per second. 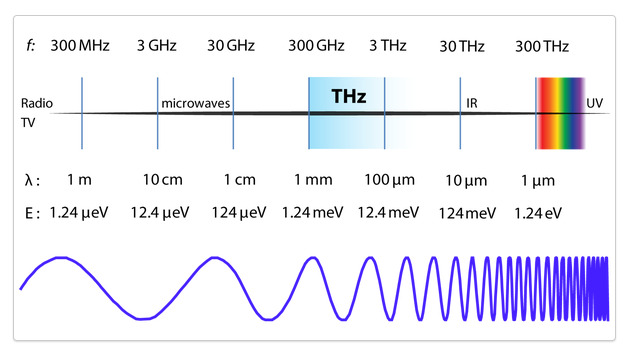 In general, a terahertz wave often indicates an electromagnetic wave of 0.3 THz to 3 THz. While there are quite a few different numbers, this is the one that is most commonly being used. The following is the details of research NTT did. 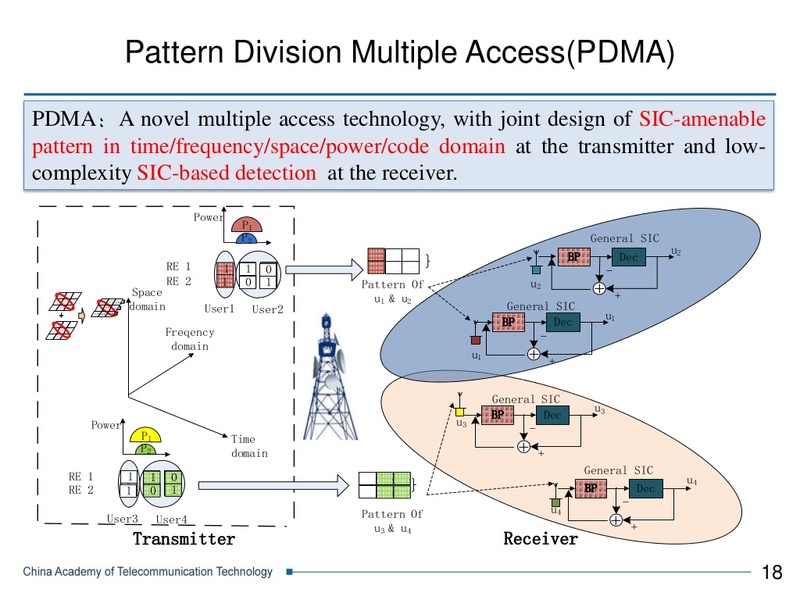 In this research, we realized 100 Gbps wireless transmission with one wave (one carrier), so in the future, we can extend to multiple carriers by making use of the wide frequency band of 300 GHz band, and use spatial multiplexing technology such as MIMO and OAM. It is expected to be an ultra high-speed IC technology that enables high-capacity wireless transmission of 400 gigabits per second. 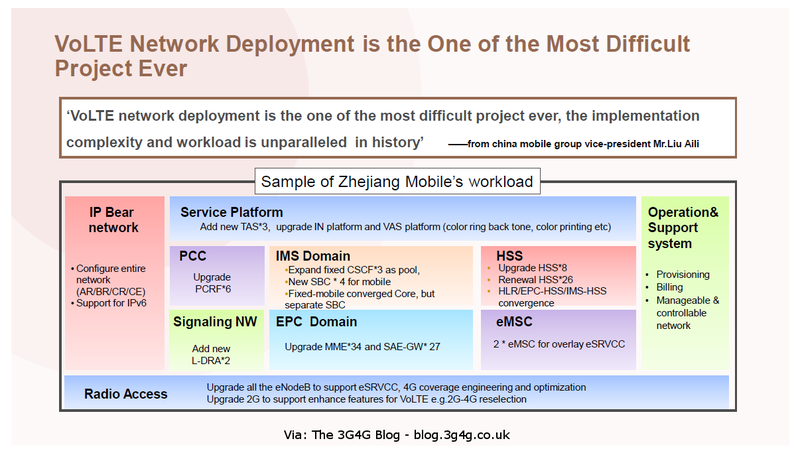 This is about 400 times the current LTE and Wi-Fi, and 40 times 5G, the next-generation mobile communication technology. It is also expected to be a technology that opens up utilization of the unused terahertz wave frequency band in the communications field and non-communication fields. Complete article and paper available here. 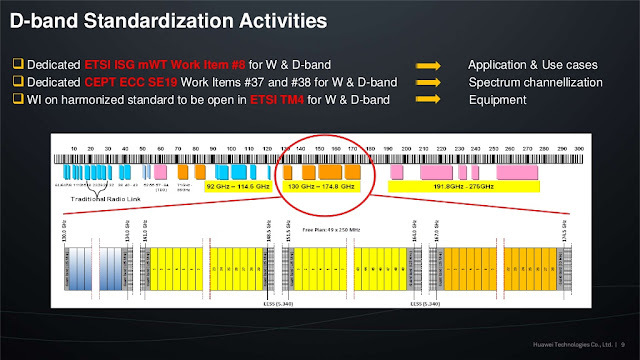 Huawei has also been doing research in W (92 - 114.5 GHz) and D (130 - 174.5 GHz) bands. 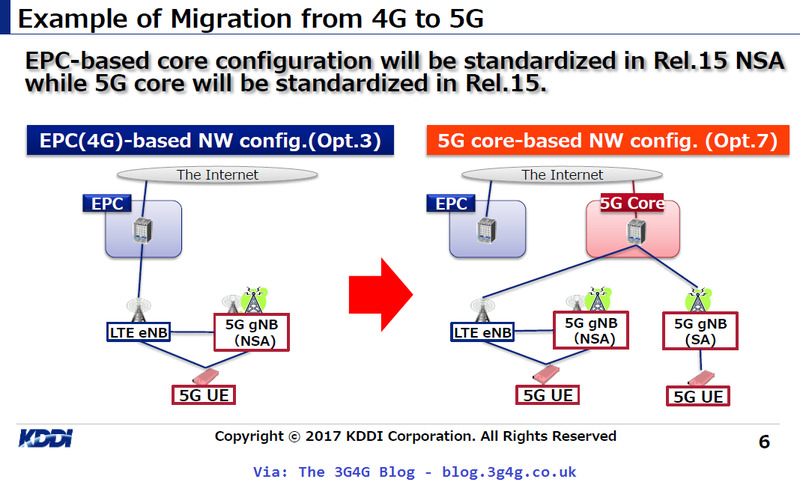 A recent presentation by Debora Gentina, ETSI ISG mWT WI#8 Rapporteur at the UK Spectrum Policy Forum is embedded below. This presentation can be downloaded from UK SPF site here. 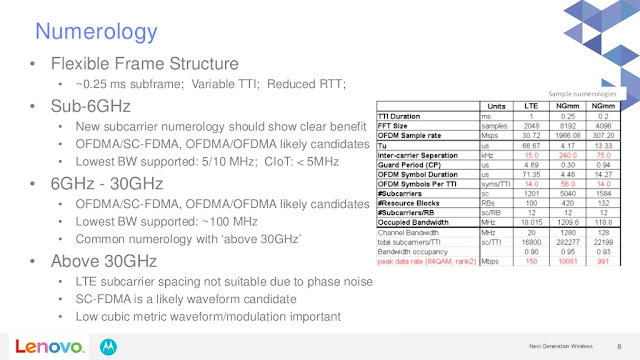 Another event on beyond 100GHz that took place last year has some interesting presentations too. Again, on UKSPF site here. Ericsson has an interesting article in Technology Review, looking at beyond 100GHz from backhaul point of view. Its available here. 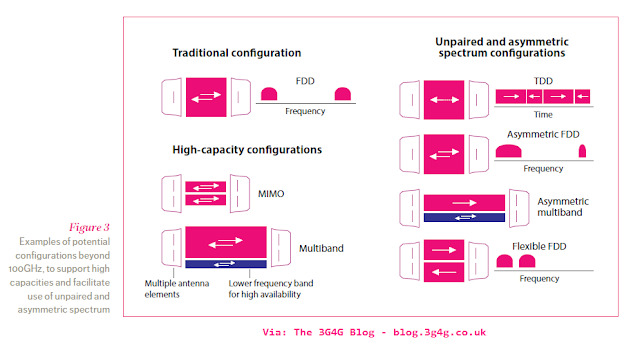 If 5G is going to start using the frequencies traditionally used by backhaul then backhaul will have to start looking at other options too. Happy to listen to your thoughts and insights on this topic. While going through the latest issue of CW Journal, I came across this article from Moray Rumney, Lead Technologist, Keysight. 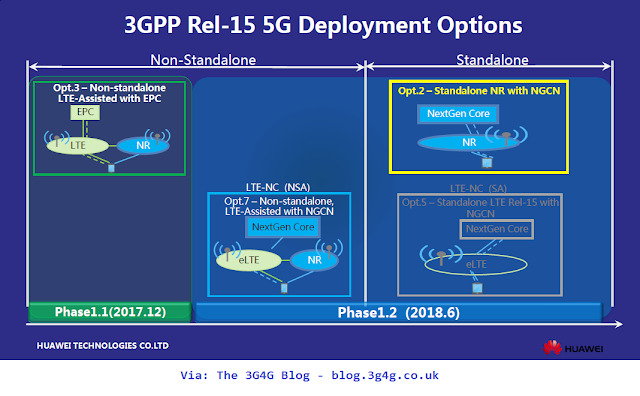 It highlights an interesting point that I missed out earlier that 5G also includes all LTE specifications from Release 15 onwards. 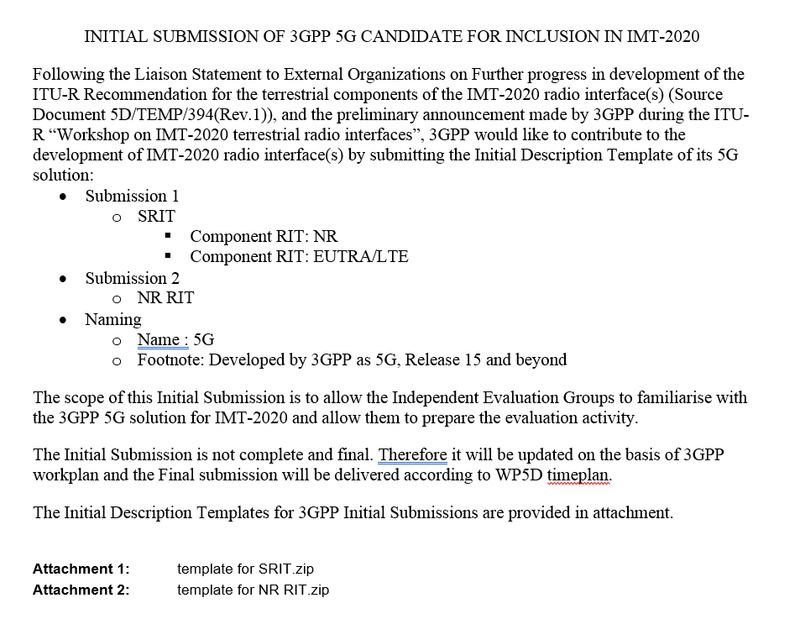 I reached out to our CW resident 3GPP standards expert Sylvia Lu to clarify and received more details. There is a whole lot of detail available in RP-172789.zip. Here RIT stands for Radio Interface Technology and SRIT for Set of RIT. In fact at Sylvia clarified, NB-IoT and Cat-M will also be part of the initial IMT-2020 submissions early next year. Thanks Sylvia. 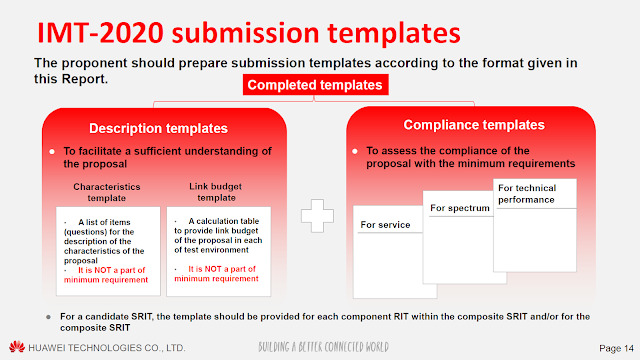 There is also this nice presentation by Huawei in ITU (here) that describes Requirements, Evaluation Criteria and Submission Templates for the development of IMT-2020. It is very helpful in understanding the process. 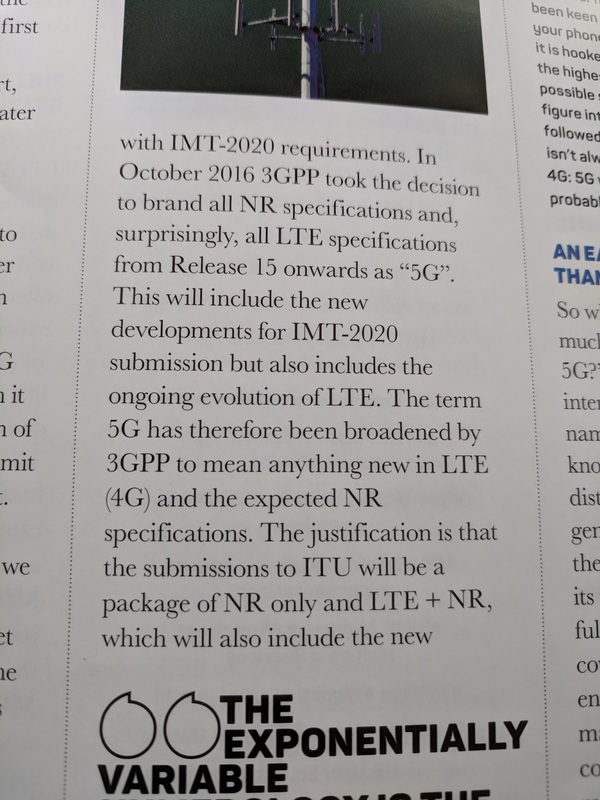 With LTE Release-15 being part of 5G, I think it has just become easy for operators to claim they have 5G. The dissenting voices on 5G and CBRS are getting louder. While there are many analysts & operators who have been cautioning against 5G, its still moving ahead with a rapid pace. 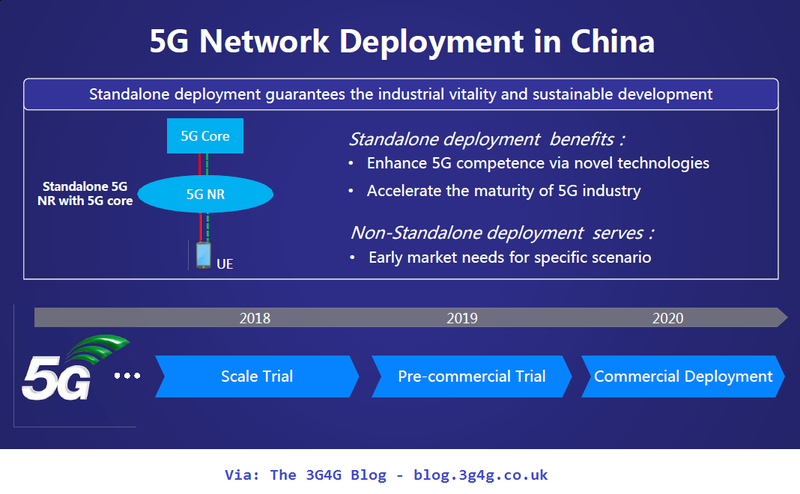 In the recent Huawei Mobile Broadband forum for example, BT's boss admitted that making case for 5G is hard. Bruno Jacobfeuerborn, CTO of Deutsche Telekom on the other hand is sitting on the fence. Dean Bubley's LinkedIn post is interesting too. Vodafone CTO asked yesterday: "Will 5G be like 2G and 4G, or like 3G?". Now, it's like 3G, designing use cases and apps that nobody knows if they will be successful (e.g. 3G video calling). Anyway, we have storified most of the tweets from Huawei Mobile Broadband Forum here. 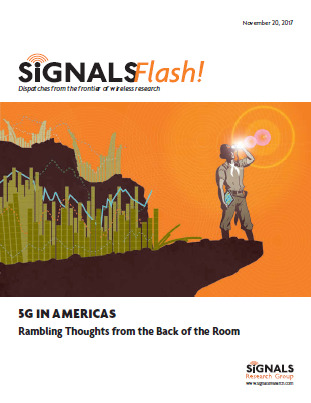 Signals Research Group recently published their Signals Flash report, which is different from the more detailed Signals Ahead reports looking at 5G and CBRS, in addition to other topics. I have embedded the report below (with permission - thanks Mike) but you can download your own copy from here. CBRS – Much Ado About Not Very Much. The FCC is heading in the right direction with how it might regulate the spectrum. However, unless you are a WISP or a private entity looking to deploy a localized BWA service, we don’t see too many reasons to get excited. Handicapping the 5G Race. Millimeter wave networks will be geographically challenged, 600 MHz won’t scale or differentiate from LTE, Band 41 may be the most promising, but this isn’t saying much. Can network virtualization make a winner? It makes no Cents! 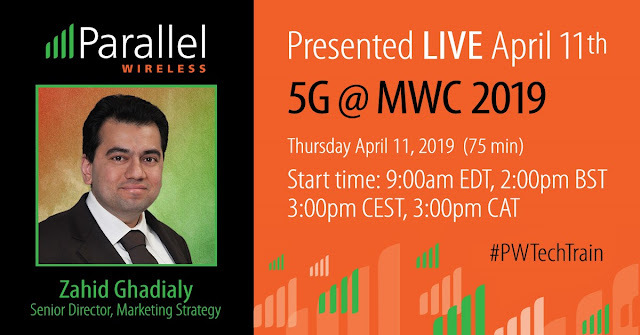 Contrary to widespread belief, 5G won’t be a new revenue opportunity for operators – at least in the near term. The vertical markets need to get on board while URLLC will lag eMBB and prove far more difficult to deploy. This Fierce Wireless article summarises the issues with CBRS well. Signals said that device compatibility will also be a significant speed bump for those looking to leverage CBRS. Manufacturers won’t invest heavily to build CBRS-compatible phones until operators deploy infrastructure “in a meaningful way,” but those operators will need handsets that support the spectrum for those network investments to pay dividends. So while CBRS should prove valuable for network operators, it may not hold as much value for those who don’t own wireless infrastructure. While many parts of the world are focusing on using frequencies around and above 3.5GHz for 5G, USA would be the only country using it for 4G. 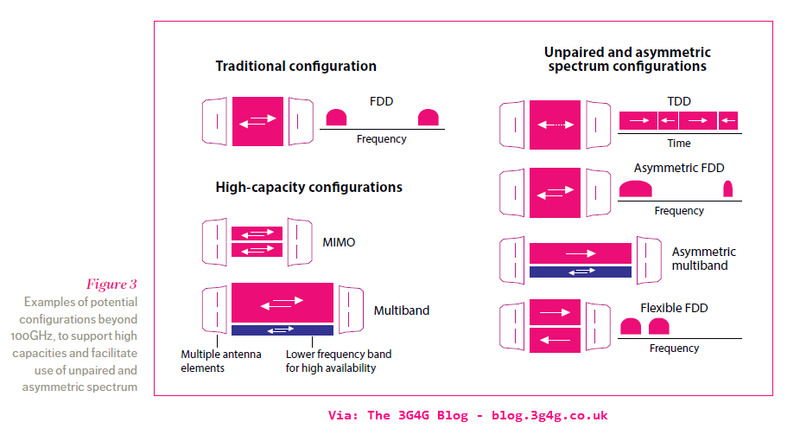 I suspect that many popular devices may not support CBRS but could be good for Fixed Wireless Access (FWA). It remains to be seen if economy of scale would be achieved. 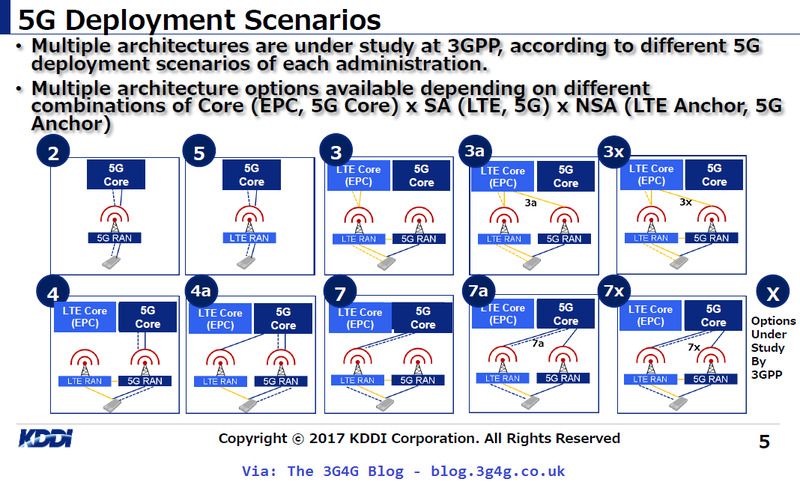 5G Architecture Options for Deployments? 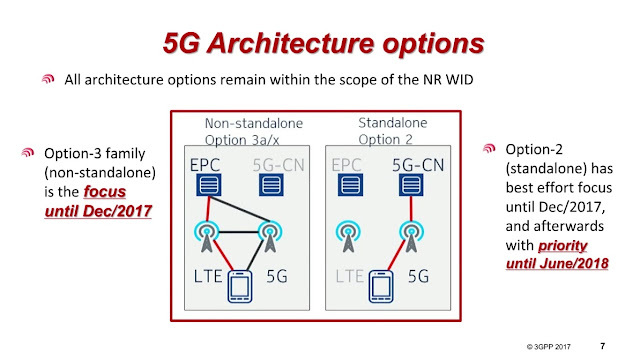 I have blogged earlier about the multiple 5G Architecture options that are available (see Deutsche Telekom's presentation & 3G4G video). So I have been wondering what options will be deployed in real networks and when. 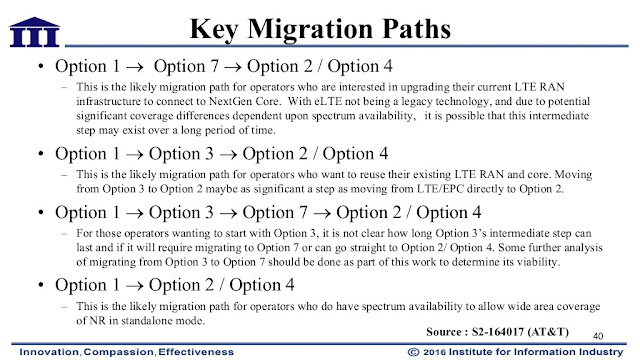 The 3GPP webinar highlighted that Option-3 would be the initial focus, followed by Option 2. 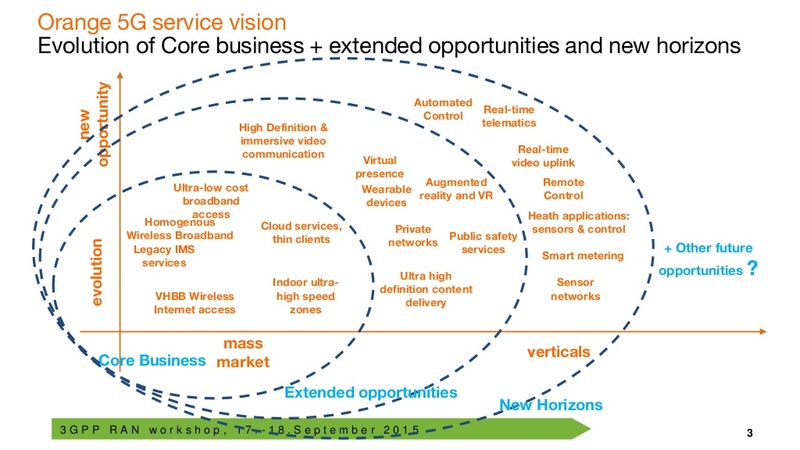 Last year AT&T had proposed the following 4 approaches as in the picture above. 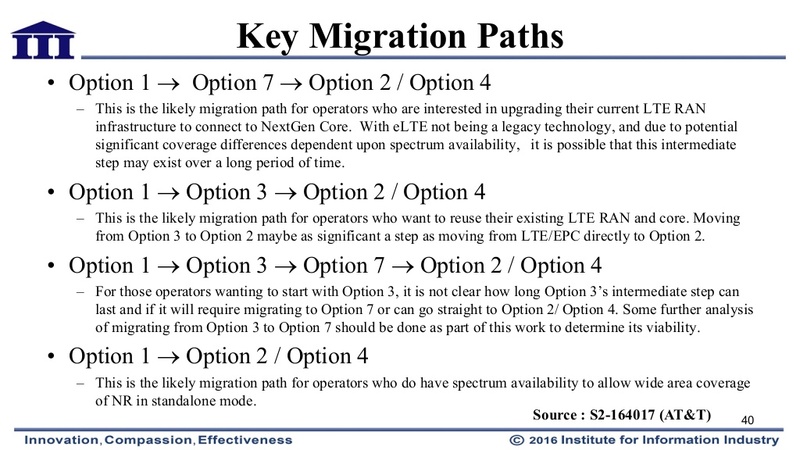 Recall that Option 1 is the current LTE radio connected to EPC. 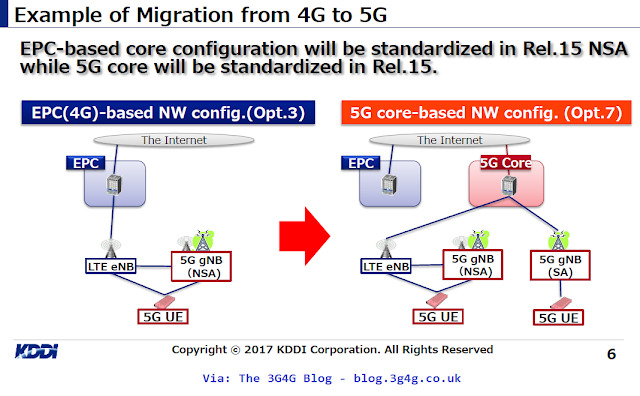 Going back to the original KDDI presentation, they prefer Option 3, followed by Option 7. If you are an operator, vendor, analyst, researcher, or anyone with an opinion, what options do you prefer? Huawei (see here and here) has partnered with China Telecom and Bike sharing company called Ofo. 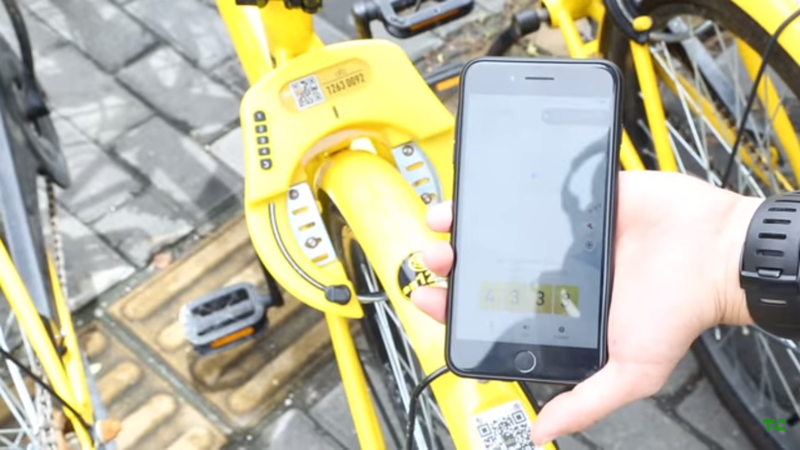 ofo developed an IoT smart lock based on NB-IoT technology that lowers power consumption, enables wide coverage, and slashes system resource delays at low cost. NB-IoT lets ofo ensure it has bikes located at key locations when commuter demand is highest. Meanwhile, bikes can be unlocked in less than a second. Both improvements have greatly boosted user satisfaction. At the core is Huawei’s IoT solution, which includes smart chips, networking, and an IoT platform. The solution provides strong coverage in poor-signal areas and a network capacity that’s more than one hundred times stronger than standard terminals. The payment process has dropped from 25 seconds to less than 5, while battery life has been lengthened from 1 or 2 months to more than 2 years, saving costs and reducing the need for frequent maintenance. ofo’s cooperation with Huawei on NB-IoT smart locks bodes well for improving the industry as whole. Huawei’s technology optimizes lifecycle management for locks, while the sensors on the locks collect information such as equipment status, user data, and operating data. They connect the front- and back-end industrial chains to achieve intelligent business management, enable the bikes to be located in hot spots, facilitate rapid maintenance, and boost marketing and value-added services. Ofo co-founder Xue Ding said during a presentation the high power efficiency and huge capacity of NB-IoT make the technology ideal to deliver its smart locks, which are really the brains of its operations. The company offers what is termed station free pushbike hire, meaning bikes can be collected and deposited from any legal parking spot. Users can locate bikes using their smartphone, and unlock it by scanning a barcode. However, the process can be interrupted by mobile network congestion or if signals are weak – for example in remote areas: “Using NB-IoT, users will not be stuck because of inadequate capacity,” Xue said. Xiang Huangmei, a VP at China Telecom’s Beijing branch, said the low power consumption of the NB-IoT chip in the lock means the battery will last eight years to ten years, so it will never need to be replaced during the standard lifecycle of an Ofo bike. The NB-IoT network, deployed on the 800MHz band, offers good indoor and outdoor coverage, the VP said citing car parks as an example. One base station can support 100,000 devices over an area of 2.5 square-km. Finally, to know which operator is supporting which IoT technology, see the IoT tracker here. 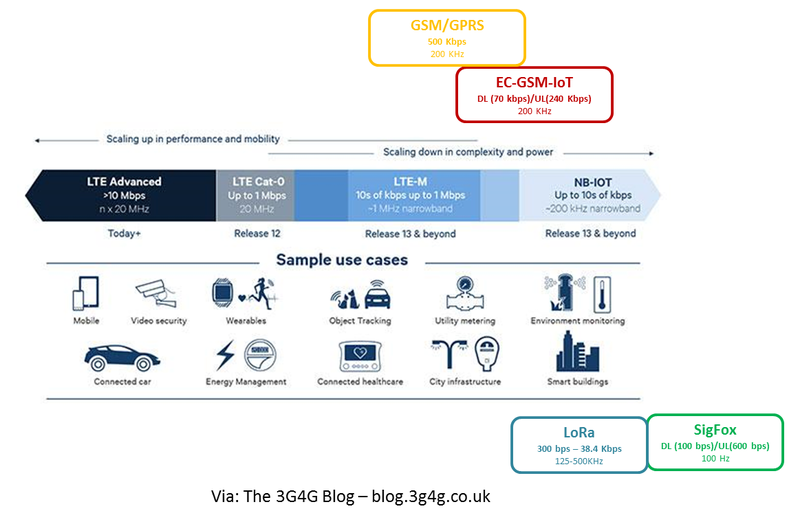 I have seen many people wondering if so many different types of IoT technologies are needed, 3GPP or otherwise. The story behind that is that for many years 3GPP did not focus too much on creating an IoT variant of the standards. 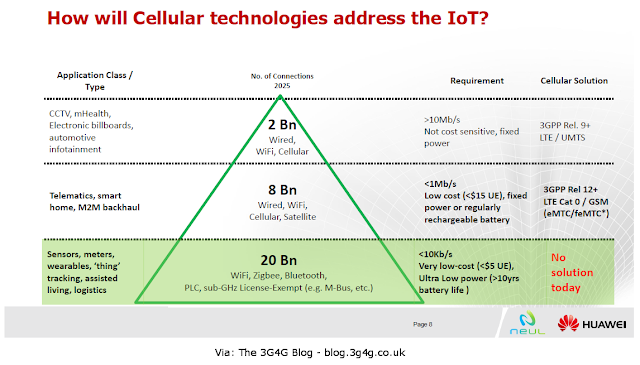 Their hope was that users will make use of LTE Cat 1 for IoT and then later on they created LTE Cat 0 (see here and here). The problem with this approach was that the market was ripe for a solution to a different types of IoT technologies that 3GPP could not satisfy. The table below is just an indication of the different types of technologies, but there are many others not listed in here. The most popular IoT (or M2M) technology to date is the humble 2G GSM/GPRS. 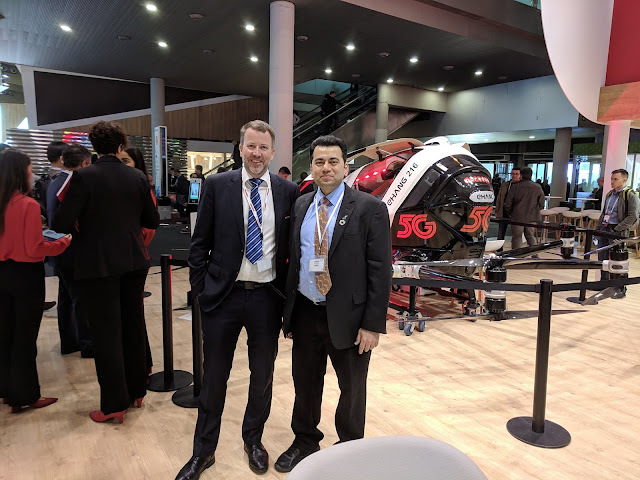 Couple of weeks back Vodafone announced that it has reached a milestone of 50 million IoT connections worldwide. They are also adding roughly 1 million new connections every month. The majority of these are GSM/GPRS. Different operators have been assessing their strategy for IoT devices. Some operators have either switched off or are planning to switch off they 2G networks. Others have a long term plan for 2G networks and would rather switch off their 3G networks to refarm the spectrum to more efficient 4G. A small chunk of 2G on the other hand would be a good option for voice & existing IoT devices with small amount of data transfer. In fact this is one of the reasons that in Release-13 GSM is being enhanced for IoT. This new version is known as Extended Coverage – GSM – Internet of Things (EC-GSM-IoT ). 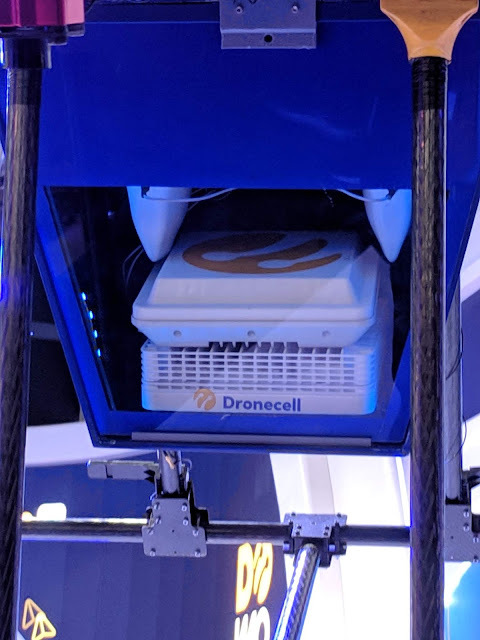 According to GSMA, "It is based on eGPRS and designed as a high capacity, long range, low energy and low complexity cellular system for IoT communications. The optimisations made in EC-GSM-IoT that need to be made to existing GSM networks can be made as a software upgrade, ensuring coverage and accelerated time to-market. Battery life of up to 10 years can be supported for a wide range use cases." 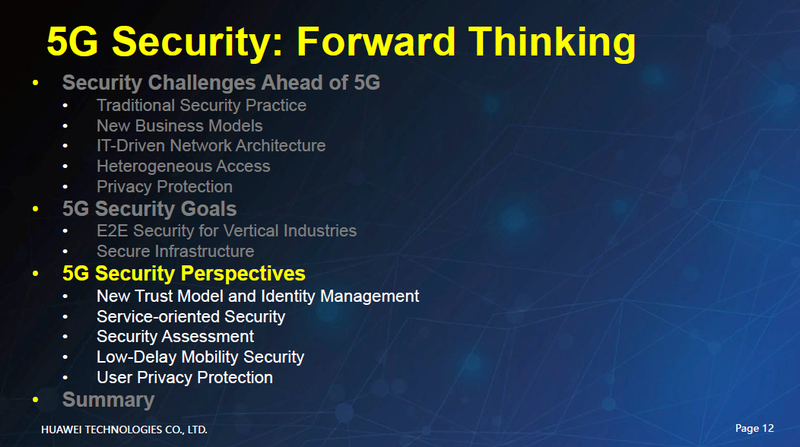 If you look at the first picture on the top (modified from Qualcomm's original here), you will see that these different IoT technologies, 3GPP or otherwise address different needs. 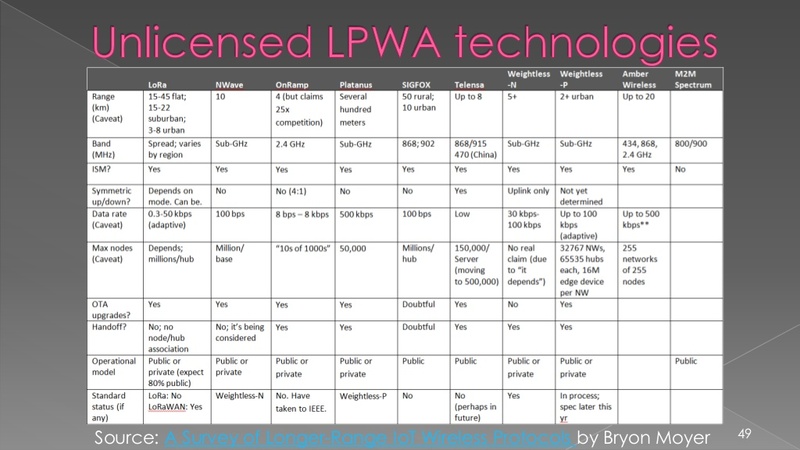 No wonder many operators are using the unlicensed LPWA IoT technologies as a starting point, hoping to complement them by 3GPP technologies when ready. 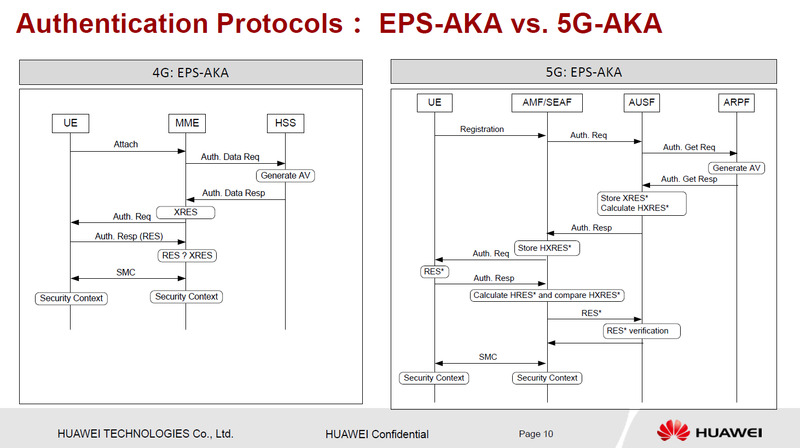 Finally, looks like there is a difference in understanding of standards between Ericsson and Huawei and as a result their implementation is incompatible. Hopefully this will be sorted out soon. Telefonica has publicly said that Sigfox is the best way forward for the time being. No news about any 3GPP IoT technologies. Orange has rolled out LoRa network but has said that when NB-IoT is ready, they will switch the customers on to that. KPN deployed LoRa throughout the Netherlands thereby making it the first country across the world with complete coverage. Haven't ruled out NB-IoT when available. SK Telecom completed nationwide LoRa IoT network deployment in South Korea last year. It sees LTE-M and LoRa as Its 'Two Main IoT Pillars'. Vodafone is fully committed to NB-IoT. Their network is already operational in Spain and will be launching in Ireland and Netherlands later on this year. Telecom Italia is in process of launching NB-IoT. Water meters in Turin are already sending their readings using NB-IoT. China Telecom, in conjunction with Shenzhen Water and Huawei launched 'World's First' Commercial NB-IoT-based Smart Water Project on World Water Day. SoftBank is deploying LTE-M (Cat-M1) and NB-IoT networks nationwide, powered by Ericsson. China Mobile is committed to 3GPP based IoT technologies. It has conducted outdoor trials of NB-IoT with Huawei and ZTE and is also trialing LTE-M with Ericsson and Qualcomm. Verizon has launched Industry’s first LTE-M Nationwide IoT Network. AT&T will be launching LTE-M network later on this year in US as well as Mexico. Sprint said it plans to deploy LTE Cat 1 technology in support of the Internet of Things (IoT) across its network by the end of July. There were quite a few interesting presentations in the recently concluded 5G World conference. One that caught my attention was this presentation by Huawei. SON is often something that is overlooked and is expected to be a part of deployment. The problem is that it is often vendor proprietary and does not work as expected when there is equipment from multiple vendors. 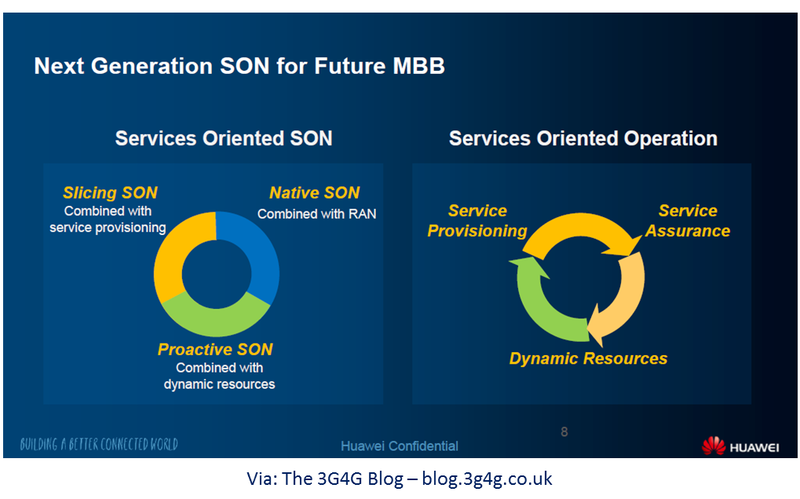 While the 4G SON in theory solves the issues that network face today, 5G SON will have to go much further and work with SDN/NFV and the sliced networks. Its going to be a big challenge and will take many years to get it right. Feel free to let me know your thoughts as comments. 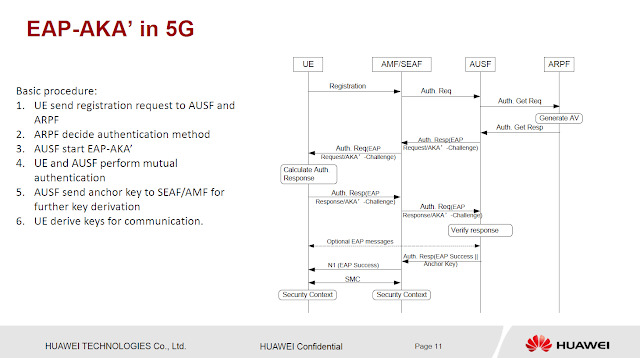 Here are three presentations from the 5G Huddle in April, looking at 5G security aspects. As I have repeatedly mentioned, 5G is in process of being defined so these presentations are just presenting the view from what we know about 5G today. 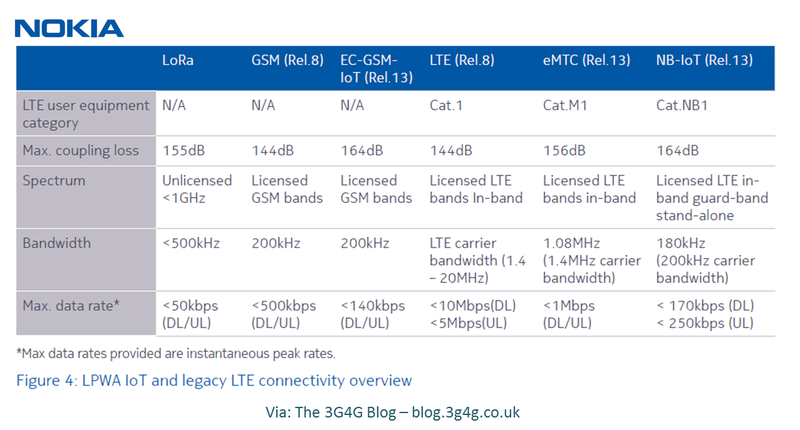 Last year's summary of the LTE voice summit was very much appreciated so I have created one this year too. The status of VoLTE can be very well summarised as can be seen in the image above. Surprisingly, not many presentations were shared so I have gone back to the tweets and the pictures I took to compile this report. You may want to download the PDF from slideshare to be able to see the links. Hope you find it useful. 3GPP held a 5G Workshop in Phoenix last week. 550 delegates and over 70 presentations contributed to the discussion, which covered the full range of requirements that will feed TSG RAN work items for the next five years. I will eventually look at all the presentations and highlight the ones that I find interesting as a part of this blog. Due to the vast number of presentations, I will split them into a few blog posts. As can be seen in the picture above, 3GPP is planning to split the 5G work into two phases. 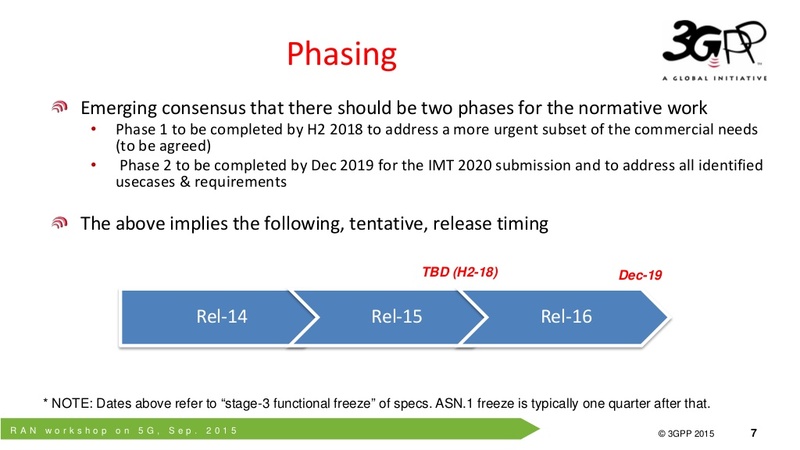 Phase 1 (Rel-15) will look at a subset of requirements that are important for the commercial needs of the day. Phase 2 (Rel-16) will look at more features, use cases, detailed requirements, etc. The presentation (RWS-150002) from Motorola/Lenovo highlighted the need to handle different spectrum. For sub-6GHz, the existing air interface could work with slight modifications. For spectrum between 6GHz and 30GHz, again a similar air interface like 4G may be good enough but for above 30GHz, there is a need for new one die to phase noise. 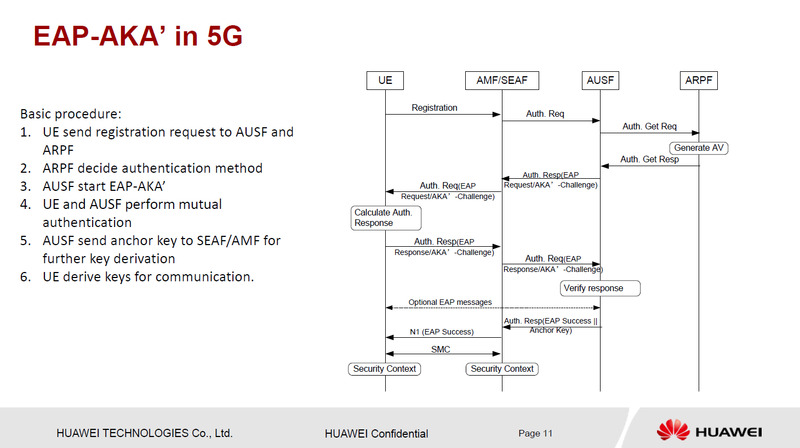 The presentation by CATT or China Academy of Telecommunication Technology (RWS-150003) is quite interesting and is embedded below. They also propose Pattern Division Multiple Access (PDMA). 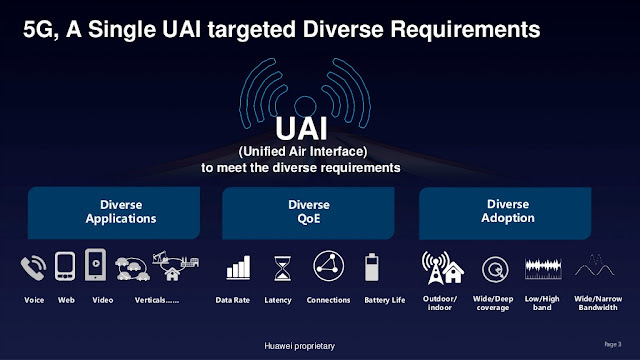 The presentation from Huawei (RWS-150006) introduced the concept of Unified Air Interface, UAI. They presentation also explains the concept of Adaptive Frame structures and RAN slicing very well. For those who may be wondering, uMTC stands for ultra-reliable MTC and mMTC stands for massive MTC. RAN slicing enables the RAN to be partitioned such that a certain amount of carriers are always dedicated to a certain services independently of other services. This ensures that the service in the slice is always served reliably.